Join us for this great family event in Dracut! The Dracut Old Home Day 5k run/walk will take place on Saturday September 10, 2016 at 10:00am on Lakeview Avenue in front of Dracut High School and the Dracut Car Wash. There will be cash awards, tech tees to the first 300 registered, chip timing by Yankee Timing, a DJ, refreshments raffles and more! The course goes up Lakeview Ave and through Dracuts quiet neighborhoods, then returns downhill for a great finish in front of Dracut Car Wash. There will be water stations, course monitors, and police details on the course. After the race you can enjoy the Old Home Day festivities. Online registration fees are $25.00 in advance (plus processing fees), and $30.00 on race day. Registration fees for students/youth 19 and under is $15.00 (plus processing fees). We will also have a virtual category for those who cannot attend in person; Your shirt will be mailed out to you the week before the event! Sponsorship opportunites also available via mail in, or online! Please visit http://www.dracutoldhomedayroadrace.com/ for more information. 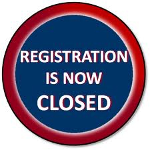 Online registration has closed, but you can still register for the event! On Thursday and Friday from 9:00am - 7:00pm at Harmony Hall, 1660 Lakeview Ave., Dracut, MA. And on race day beginning at 8:00 am. Please visit http://www.dracutoldhomedayroadrace.com/ for more info.